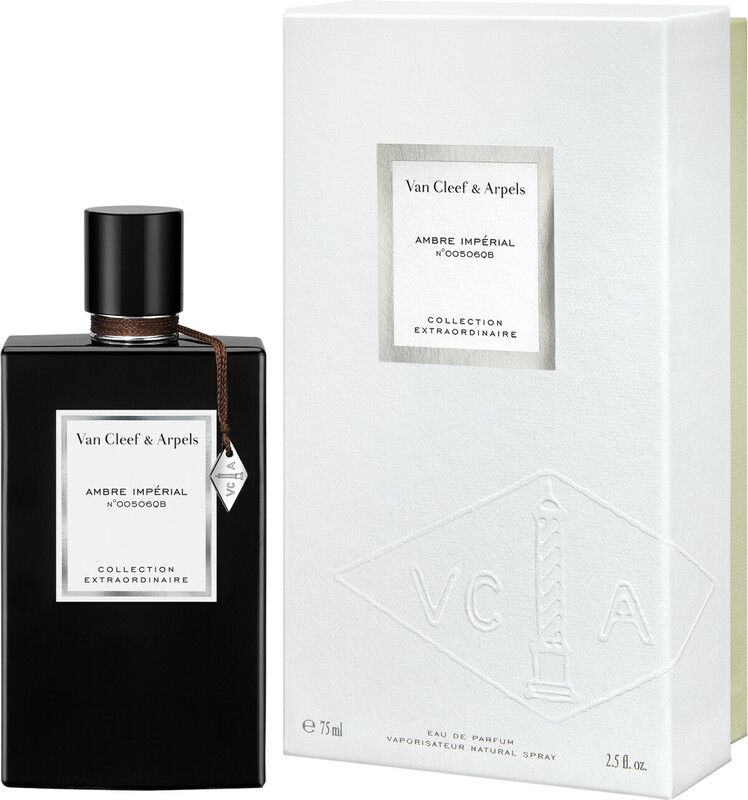 Van Cleef & Arpels Collection Extraordinaire Ambre Imperiale Eau de Parfum is a luxurious fragrance that captures the enduring enchantment of precious materials from the East, the historic cradle of perfume. Inspired by a legendary amber road, Ambre Imperiale is a majestic fragrance dedicated to ingredients of exceptional quality. Animalic tones come together with smokier elements to simulate the aroma of genuine amber, plunging the wearer into its warm, mysterious depths. It leaves a sensual and voluptuous trail with addictive facets, paying tribute to the exquisite Orient. Van Cleef & Arpel Collection Extraordinaire Ambre Imperiale opens with a ray of bergamot light adorned with pink pepper, before a precious heart of amber and smooth tonka bean reveal themselves. In the base, enveloping vanilla and resolute woods as bolstered by a resinous touch of benzoin.